BELIZE CITY–November marks the commemoration of the mass arrival of the Garinagu to Belize in 1823, and cultural icon, Pen Cayetano, 60, is planning two major events to highlight the value of Garifunadüoü – the richness of his culture. At 3:30 p.m. this Friday, October 31, Cayetano will host Au Le: This is I, an exhibit of 23 oil paintings at the Gulisi Garifuna Museum, located at Mile 2 on George Price Drive in Dangriga. 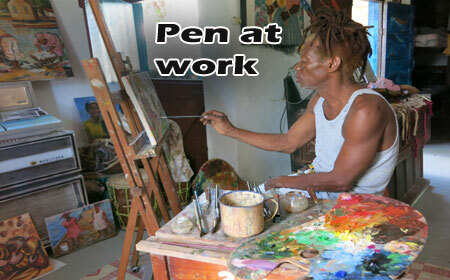 The artist told Amandala today that he will be showcasing what he has accomplished since he began creating art and music for the country of Belize about 32 years ago, both here in Belize and abroad. 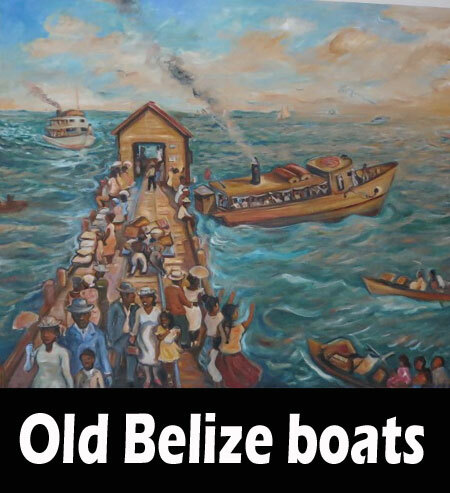 Some of the paintings are historical, such as his paintings featuring boats like the Heron H and OCL which used to transport Belizeans to and from places like Dangriga, Belize City, Placencia and even Guatemala. Cayetano said that there have been no more boats like those since the 60s or 70s. 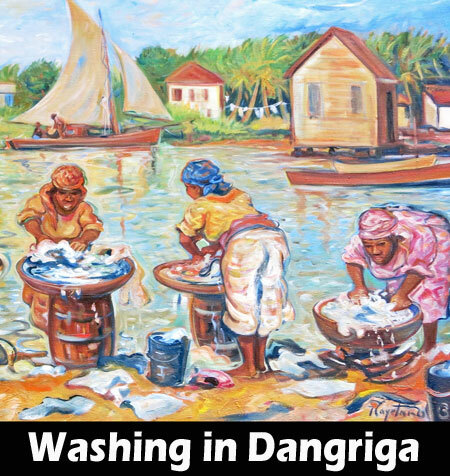 The oldest pieces in Au Le—an exhibit which will run until Saturday, November 29, 2014—will also feature Garifuna women, such as women washing in traditional Garifuna bowls and on barrels in the river. More current pieces feature a playful rendering of a girl skipping in Hopkins and Cayetano’s trademark Jancunu dancing depictions, as well as a portrait of a resurrection, depicting child murder victims, including Jackie Malic, as angels. Pen Cayetano is also hosting the Roots Garifuna Show on November 18 and 19, 2014 at the Pen Cayetano Studio Gallery at 3 Aranda Crescent in Dangriga. This is the second year he is hosting the celebration there, and it will feature an open studio, live hudut making and cassava processing, as well as drumming. His wife, Ingrid, will also be exhibiting her needlework. Cayetano extends an invitation to those who intend to attend the event to wear their traditional Garifuna attire. He said that there will also be traditional dancing. Cayetano says that November, for him, represents a time to highlight the need for respect of the Garifuna culture – not just the dance, which he believes should be free of vulgarity, but also the food, medicine and other aspects of the culture. Respect ourselves, respect the culture, respect the ancestors, he said.